Homepage optimization is the process of improving the homepage on a website to generate more traffic and publicity. It can be a vital aspect to increasing your digital presence and helping your company grow. 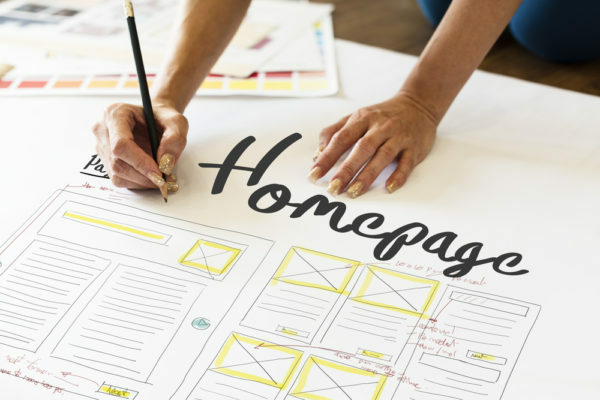 From improving your homepage design to boosting your overall website speed, there are many steps that go into optimizing your homepage to achieve maximum results. How can site visitors learn more? How can site visitors reach your company? Why do site visitors need your company? By answering these questions, people visiting your website will be convinced to convert simply after landing on your homepage! How can I improve my homepage’s design? Since your homepage is the first page most people will see on your website, it should embody your company’s culture and vibe. Remember that your digital presence is an extension of your company and should reflect the same values. So ask yourself what your goals are for your company and keep those in mind when developing your website. Unlike other pages on your website, your homepage does not need to be filled to the brim with information. Instead, reduce the clutter and focus on captivating the viewer’s attention. Find a balance between images, textual information and whitespace. There is no perfect word to image ratio, so use your best judgement. When in doubt, less is more! Did you know that the difference between a good website and a great one is photos? It’s true! The best websites showcase high quality visual images and videos to enhance their content. Similarly, incorporating videos has become the new standard because of the huge impacts of video marketing. People see more than they read, so make sure your homepage is inviting and appealing to the eye with great visuals. Your homepage, like the rest of your website, should be easy to follow. If people have a difficult time finding what they’re looking for, they are likely to give up and find another website. Don’t lose out on potential customers. Instead, simplify your site and make sure everything flows smoothly from left to right. Include a search bar for easy navigation, utilize chat features, organize content with menus, and add arrows to the bottom of long pages, so users can easily go back to the top of the page. These simple, yet effective tools can make a huge difference in your website’s overall flow. Your website is all about the user, so create an experience that is easy for potential customers to understand. Now that you know why homepage optimization is important and how it can be improved through design, find out how content comes into play. For more information, check out part two of our homepage optimization guide.